If you are thinking you would like to own property or assets with your spouse, partner or friend (or several others) you will need to decide on the form of ownership that will best suit the circumstances; both forms have major implications. During a joint tenancy or a tenancy in common all owners obtain the benefit of shared ownership and use, depending on any agreements they may enter into with each other. A joint tenancy is a method of owning a property or an asset with another person or with several people, whether or not it includes a spouse or partner. This means that when you die, your share of the property or asset automatically transfers to the other joint tenant/s rather than under the terms of your Will. If all the joint tenants have died at the same time then the Simultaneous Deaths Act 1958 converts the joint tenancy into a tenancy in common in equal shares which means that each tenants shares become part of each tenants estate. There are several ways you can sever your joint tenancy agreement. You may unilaterally convert ownership from a joint tenancy to a tenancy in common in the case of a property. In other cases, a bankruptcy situation for example, the bankruptcy will automatically sever the joint tenancy arrangement. It can also be terminated by the mutual agreement between the joint tenants. A tenancy in common exists when two or more people hold shares in land or property. Commonly applied to land and buildings, a tenancy in common is also used to hold life insurance policies and other assets where the asset owners want to leave their share of the jointly owned property or asset in accordance with their own Will, usually to their own family. Business partners, for example, will generally own their land and buildings and various other assets used in the business as tenants in common in the same shares as their shares in the partnership in which they operate. In the case of a company, however, this is not needed as each business partner can simply hold their own independent shares in a company. A tenancy in common is recommended for friends who, for example, have formed a share group, when one of them dies, they do not wish their share to pass to the others. When establishing their ownership structure the friends will either enter into a partnership agreement determining their respective shares as tenants in common or, they will have a simple document signed by all of them indicating an intention that they hold their interest as tenants in common in those shares.  The implication of a tenancy in common is that each tenant may deal with his or her share separately under the terms of their Will. A couple with children may want to protect their one half share of the family home following either of their deaths. By holding the property as tenants in common, if the surviving spouse or partner enters into a new relationship or marriage, the deceased partners share is protected for their children. Each party, under their Will, can provide for the surviving spouse or partner to have the use and enjoyment of their half of the house during the surviving spouse or partners lifetime. This provision generally includes the right to sell and buy an alternative property or properties, the right to build an alternate property and the right to use the proceeds of sale and enjoy the income during their lifetime. This means that a future spouse or partner cannot benefit from at least half of the house. Second and subsequent marriages or relationships commonly involve a mixture of joint tenancies and tenancies in common. Often couples who have been in a relationship for some time will want certain assets such as furniture, cars and some bank accounts to pass to the other automatically on their death and for this purpose they will hold those assets as joint tenants. There are, however, the more significant assets that each party brings into the new relationship which they, more often than not, wish to protect eventually for their children of their first relationships. By holding those assets as tenants in common in shares with their new spouse or partner they can use their Wills as estate planning documents providing for the use, where applicable, of some or all of those assets during the surviving spouse or partners lifetime or for a specified period of time. In this arrangement the ultimate beneficiaries of the share under the tenancy in common are that persons children or, where they do not have children, other family members. The use of family trusts is commonly used to protect assets either received by way of inheritance or the persons share of a relationship property settlement. Often both parties to a new marriage or relationship will have established their own family trust for the protection of themselves and their own family. It is common, therefore, for those trusts to buy assets together and each of the trusts will own their share under a tenancy in common. If those trusts contribute 50% each to the purchase of, for example, a family home then the home will be owned by the trusts as tenants in common in equal shares. If one trust contributes two-thirds and the other trust one-third then the title will have recorded on it that the one trust holds the property as to a two-thirds share and the other as to a one-third share as tenants in common in those shares. For most people, the family home and holiday homes will be the major asset or assets of a relationship. It is important when buying those assets that a decision is made as to whether they are bought as joint tenants, or as tenants in common in equal or unequal shares. In fact, the purchase of any asset requires an estate planning exercise to be undertaken so that you can decide whether the asset is to pass to the other person or persons by survivorship or whether an alternative provision will be made in that partys Will. If you do decide on a tenancy in common arrangement, it is important to have a specific provision in your Will as to what is to happen to your share of a tenancy in common asset, that is to whom is it going to be left after you die. If you dont make a provision in your Will, the asset will pass to the residuary beneficiaries named in the Will, who may not be the people to whom you want to leave it. If you have created a tenancy in common and dont have a Will, there are no residuary beneficiaries. In this case you would be dying intestate. Depending on who is still alive, your asset will go to your spouse or partner, children or grandchildren, parents and other relatives. With record numbers of mortgage finance disputes being received by the Banking Ombudsman, the Banking Ombudsman Scheme has released an updated version of the Quick Guide to Mortgagee Sales. It is aimed at helping banking customers understand their rights and obligations with respect to their mortgages. If youre finding yourself in financial difficulty with the possible prospect of a mortgagee sale, contact your lender as early as possible. They may be able to help you sort out your financial problems faced especially if you are still managing to keep up your loan repayments. When your spouse or partner dies, as surviving spouse you can choose to inherit your relationship property according to the provisions of the Property (Relationships) Act 1976 (Option A), or to inherit according to the provisions of your partners Will or intestacy (Option B). Many factors will determine which option you choose, the financial implications of each choice being the main factor. Simply put, you should elect Option A if your partner owned most of your relationship assets and has not made adequate provision for you in their Will. You should consider Option B if you own most of the relationship assets or take them by survivorship, such as where property is held as joint tenants between yourself and your spouse. This is, however, a simplified summary. When reviewing your Wills and personal affairs, if you have assets structures in place such as a family trust, children from a previous relationship, or you have separated from your spouse or partner and are in a new relationship, then do talk with us. Its important that when reviewing your Will or deciding to enter into relationship property agreements you should ensure that you are meeting your legal responsibilities to provide for your family after your death. Ensuring you provide for all your family can be a delicate balancing exercise, but with the right legal advice you can avoid family disharmony after you have gone. The Taxation (GST and Remedial Matters) Act 2010 (TGRM) was created to streamline administrative costs to the IRD and to prevent phoenix GST schemes where land was transferred between associated entities and the purchasing entity received a GST refund before the vendor entity settled the liquidation. In some circumstances the vendor could avoid the payment of GST altogether. The TGRM effectively creates a GST-zero position as between GST registered parties in certain land transactions. For example, sales of residential properties used for short term rental purposes qualify for GST zero-rating as short term renting accommodation is a taxable activity. Similarly, the sale of a commercial property subject to a commercial lease is an instance where compulsory GST zero-rating should take place. To avoid nasty GST surprises get in touch with us before your Sale & Purchase Agreement is signed. Download this issue in a PDF form.